OPEN HOUSE SUNDAY APRIL 14 1-3 pm The Perfect Package! Modern Open Plan, laminate flooring,fresh light paint color, baseboards and new lighting. 2 Bedrooms, 2 full bathrooms. 1340 sq ft unit on the third floor. Great building architecturally designed. Open floor plan, white kitchen includes fridge, stove and dishwasher. Patio doors to good sized balcony. Storage and Laundry, washer and dryer included. Master is King -sized with en-suite and walk-in closet. 2nd bedroom with large double closet. Elevator building with party/gathering room. Just steps away from bus, restaurants and shopping. 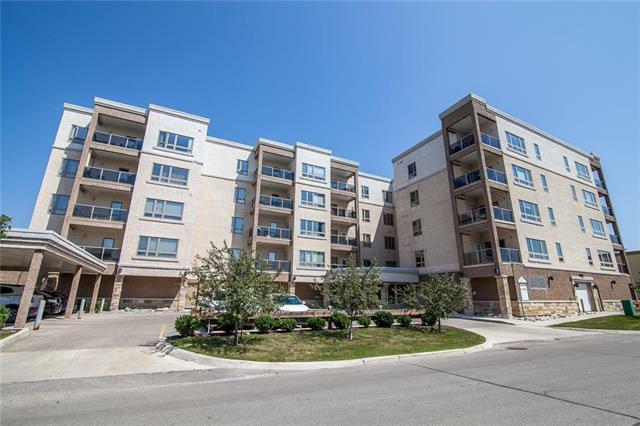 Close to Woodhaven Park, the Grace hospital, and Assiniboine clinic. Weekly bus to grocery store right out front. Parking is available at 84.00/month. Carefree lifestyle awaits you..... call today.